Overtime, carburetors and choke valves can become clogged with gum, varnish and dirt, affecting performance. Gumout<sup></sup> Carb/Choke & Parts Cleaner quickly removes these deposits from the inside and outside of the carburetor to improve engine performance and fuel economy. It also effectively cleans all non-painted metal parts and surfaces. Super Lube Dri-Film Aerosol with Syncolon (PTFE) - 11 oz can. Clean, non-staining, food grade Dri-Film lubricant. Not effected by oil, water or solvents. Stops squeaking and sticking. Rechargeable cleaner vacuums up algae, sand, pebbles, dirt, and leaves from your pool! The Catfish Battery Powered Rechargeable Cleaner makes spot cleaning your pool or spa a breeze. Its lightweight design makes it perfect for small kiddie or wading pools and spas, yet versatile enough for large pools. The Catfish's powerful internal pump with a large filtration bag vacuums up dirt, debris, sand and grit. Since the Catfish is battery operated, there are no cumbersome hoses or electrical cords. Its powerful electric motor is rechargeable and completely safe. Catfish will run up to 35 minutes on a single charge. The unit can be hand held or attached to a telepole for deeper areas of the pool. Comes with large debris filter bag and 2 replacement micron filter bags. Catfish is lightweight (3.1 lbs) and easy to handle, and has an 8-in wide vacuum head. Rechargeable Nickel Metal Hydride battery included. 1-Year Warranty. Carb & Choke Cleaner Overtime, carburetors and choke valves can become clogged with gum, varnish and dirt, affecting performance. 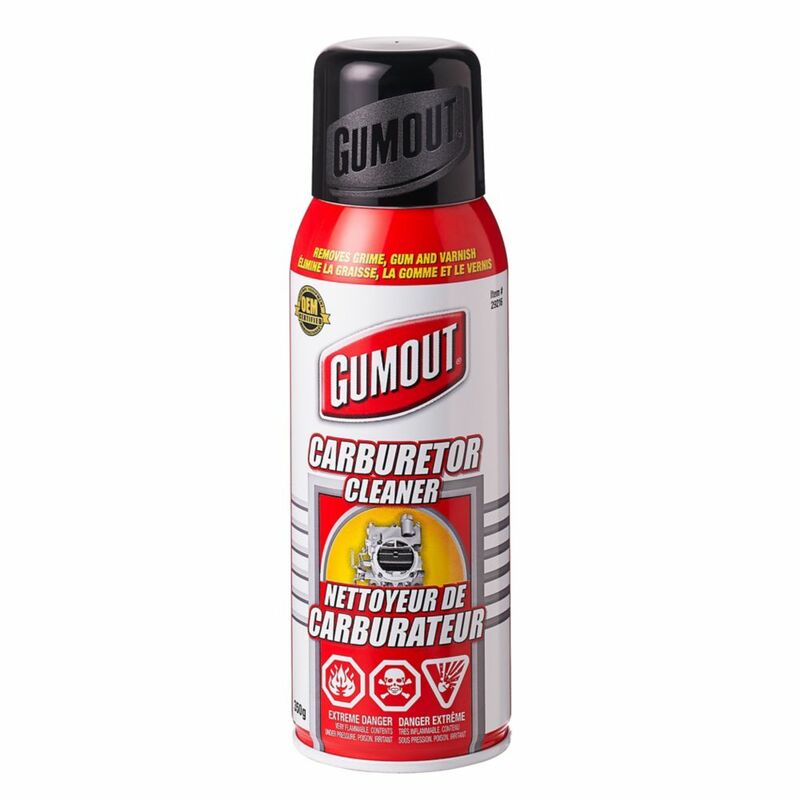 Gumout<sup></sup> Carb/Choke & Parts Cleaner quickly removes these deposits from the inside and outside of the carburetor to improve engine performance and fuel economy. It also effectively cleans all non-painted metal parts and surfaces.